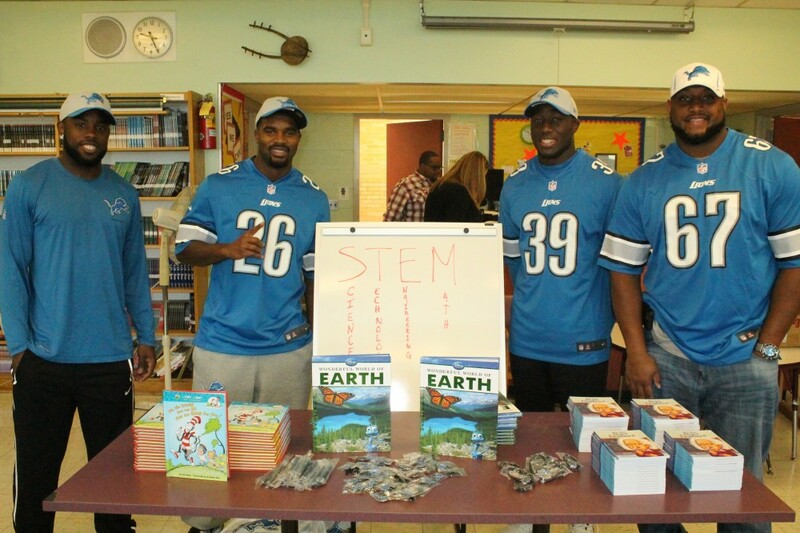 Athletes for Charity, Tata Technologies and the Detroit Lions have joined forces to expose Detroit Public School students to embrace Science, Technology, Engineering and Math (STEM), while also developing their skills in reading and writing. “The demand for skilled workers in science, technology, engineering, and math is on the rise while the availability of qualified applicants is on the decline because students are not pursuing degrees and careers within the sector,” said Alisa Harewood of Tata Technologies, a global engineering services company with North American headquarters located in Novi. The program aims to improve learning outcomes and student interest in science, technology, engineering and math, while creating pathways to success in post-secondary education and 21st century careers. Two schools have been selected for the inaugural launch of the STEM Youth Literacy Program: Clark Preparatory Academy and Dixon Educational Learning Academy. A Launch event will be held on Tuesday, Sept. 23 from 10 a.m. to 2 p.m. at Dixon, which is located at 8401 Trinity Street. 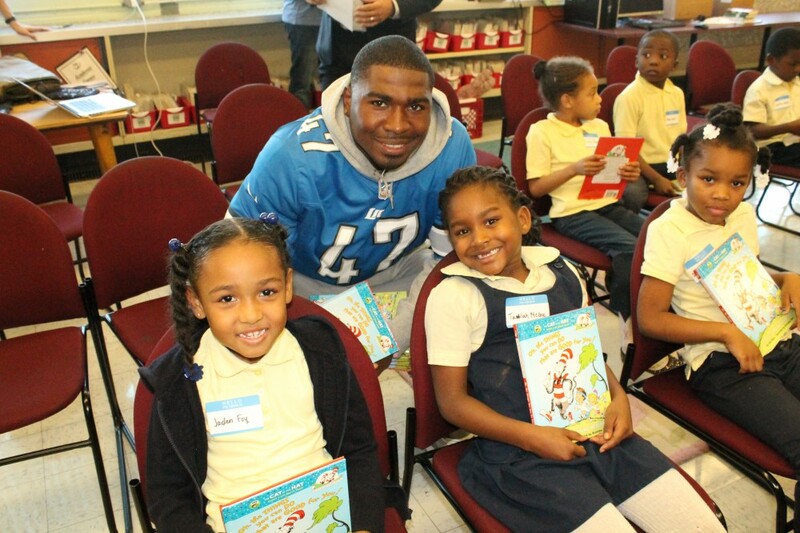 Detroit Lions Safety Don Carey, who is a founding member of the program and serves as a liaison to the team and his teammates, will be in attendance and joined by various teammates for the launch. 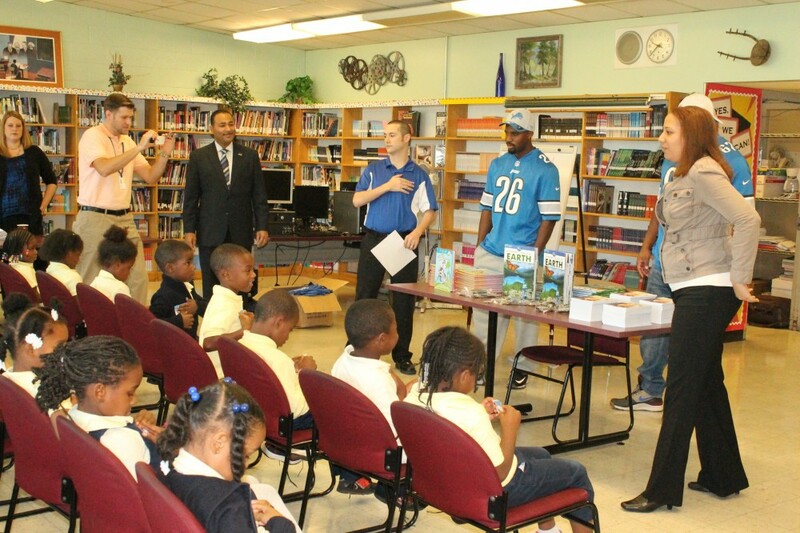 The curriculum will include monthly book distributions by various Detroit Lions players, coordinated by Don Carey of the Lions, to deliver age-appropriate STEM-related titles to students. 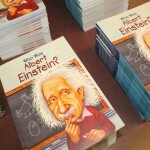 Introductions to STEM literature and careers will be a recurring theme throughout the 10-month long program. 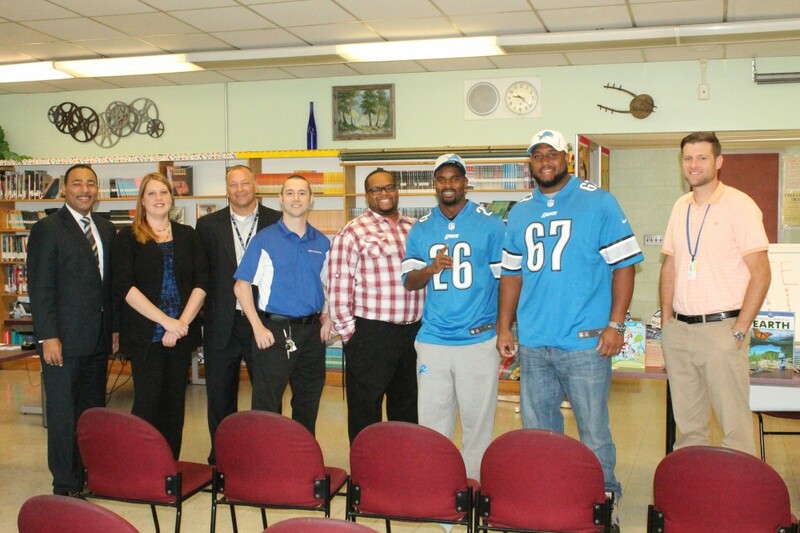 Tata Technologies staff and various Detroit Lions players will volunteer their time to serve as STEM Readers. 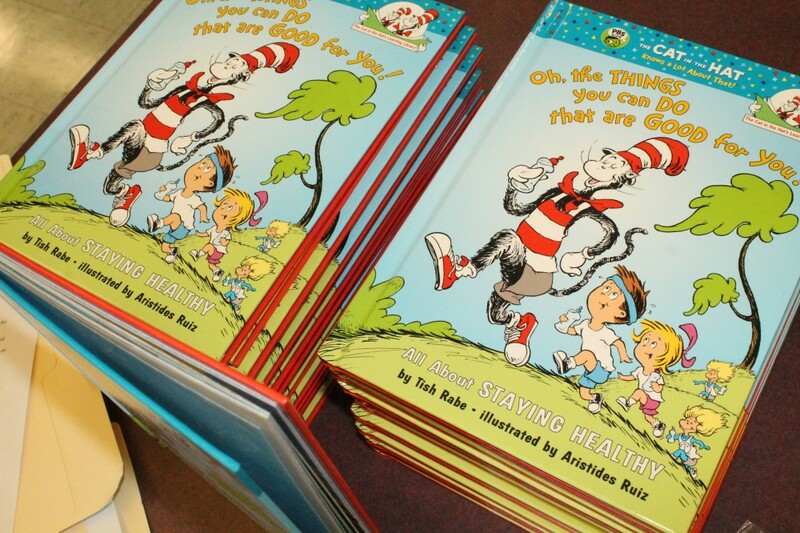 The titles to be distributed as part of the literacy component will include Dr. Seuss’ Cat in the Hat Learning series for Pre-Kindergarten and Kindergarten grades; DK Eye Wonder’s Space, Human Body, Weather and Cars for 1st grade; Disney’s Wonderful World of Space, Earth, Dinosaurs, Nature, Animals, and Sharks for 2nd and 3rd grades; and the DK Pocket Genius series or Penguin Group’s Who Is…? 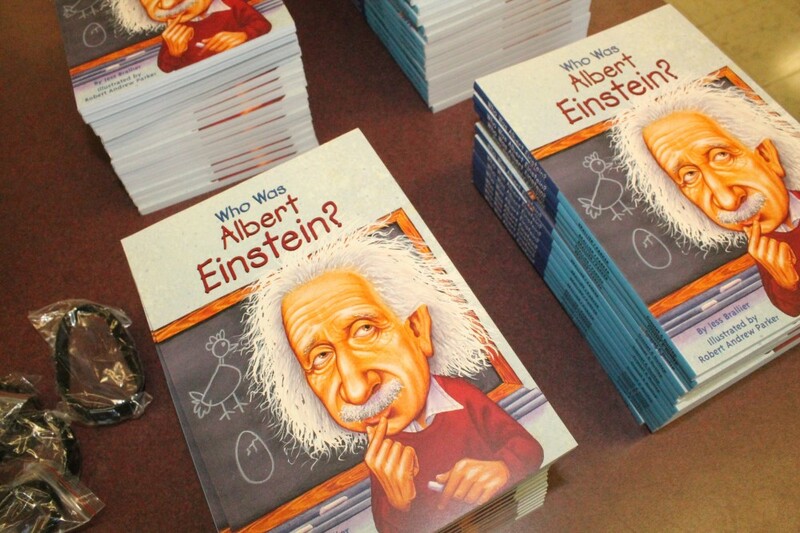 or Who Was…? 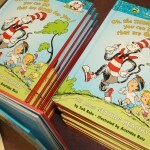 titles for 4th and 5th grades. 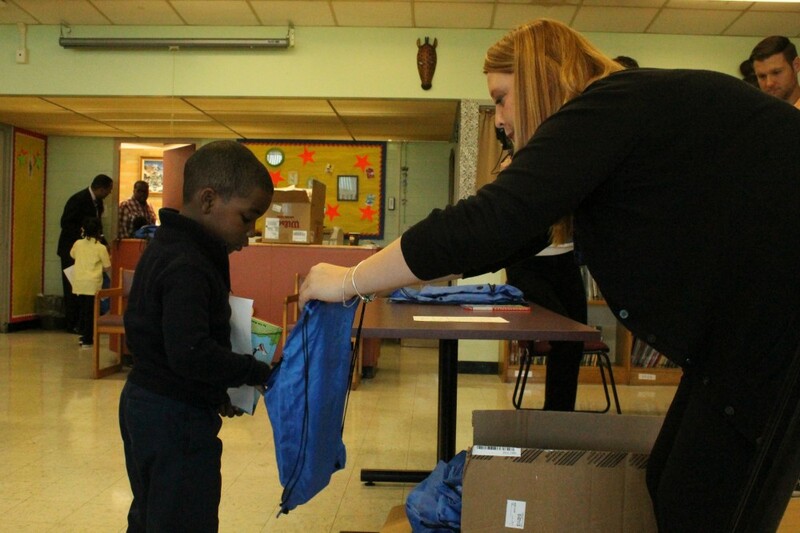 The program will feature monthly vocabulary development and drawing contests for Pre-Kindergarten through 1st grades and essay contests for 2nd through 5th grades to help develop reading and comprehension skills. 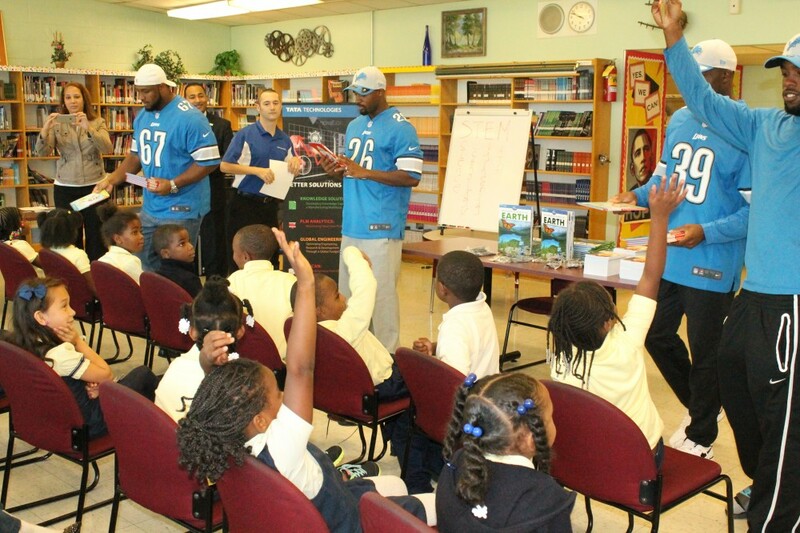 Academic incentives will include tickets to Lions, Pistons and Tigers games; autographed items from sports professionals i.e. autographed footballs, basketballs and baseballs; photos; t-shirts; etc. 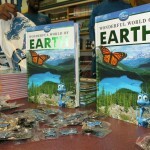 ; LEGO product to foster hands-on learning; and field trips to local educational institutions. 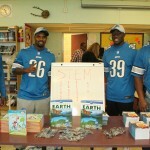 Additional supporters of the STEM Youth Literacy Program include The Helen L. Kay Charitable Trust and support from athletes such as Detroit native Anthony Adams, a retired nine-year NFL veteran who most recently played for the Chicago Bears. Adams currently serves a as a host of Inside the Bears. 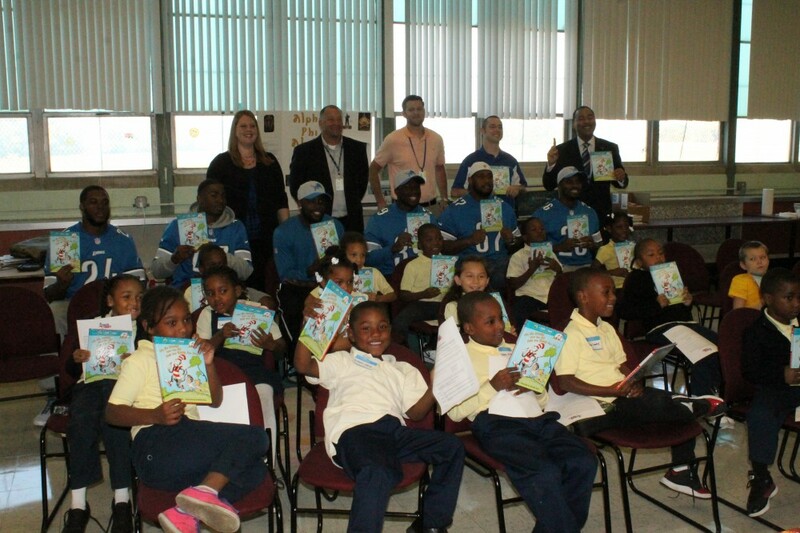 Detroit Public Schools is creating Neighborhood-Centered, Quality Schools at 97 campuses with a mission to provide a comprehensive educational experience that is high-quality, challenging and inspires all students to make a positive contribution to society. DPS offers a wide variety of educational advantages to students and parents including Individualized Learning Maps for all students and Academic Blueprints for all parents. DPS emphasizes the importance of Science, Technology, Engineering, and Mathematics (STEM) subjects to strengthen its overall academic curriculum. All students in grades 6-12 have access to Netbook computers, and students in grades 8-12 enjoy take-home Netbooks. 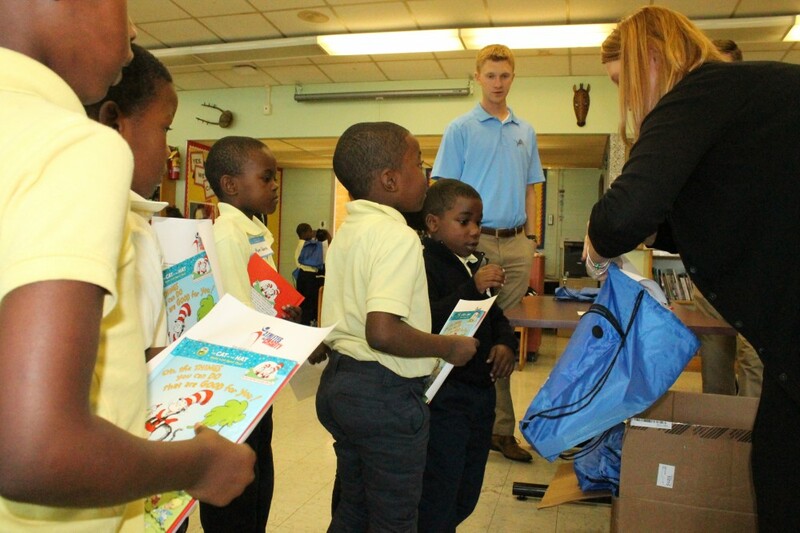 DPS also works with DAPCEP (Detroit Area Pre-College Engineering Program) at the secondary level (grades 6-12). 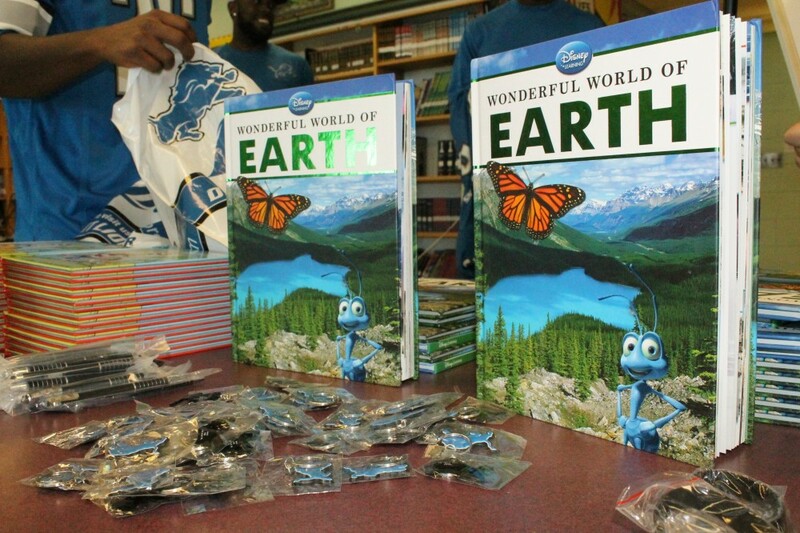 DAPCEP operates middle school-level programs in over 20 DPS schools and provides workshops to help teachers and students prepare for the Annual Science and Engineering Fair of Metropolitan Detroit held at Cobo Center. 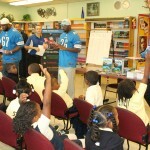 To learn more about Detroit Public Schools, visit www.detroitk12.org or call 313-240-4DPS. Athletes for Charity is a nonprofit organization whose mission is to serve as a charitable initiative dedicated towards encouraging the giving of time, financial resources, and information to improve the collective lives of disadvantaged youth, advance the common good and support the nonprofit sectors that benefit the underprivileged, including foster care children. 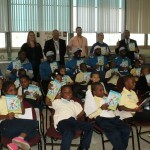 Athletes for Charity achieves its mission by teaming up with professional athletes, sports leagues and teams, various sports professionals, foster care agencies and related organizations, the corporate sector, as well as volunteers and mentors, to empower and support the development of disadvantaged youth. Athletes for Charity’s work range from the development and coordination of youth mentoring programs; youth literacy initiatives; STEM education programs; assisting with the establishment of athlete foundations and charitable projects; the planning and implementation of camps and clinics for youth that encompass an educational component; holiday toy drives for underprivileged children; coordination of athlete appearances; and planning special events which include youth and athlete participation i.e. 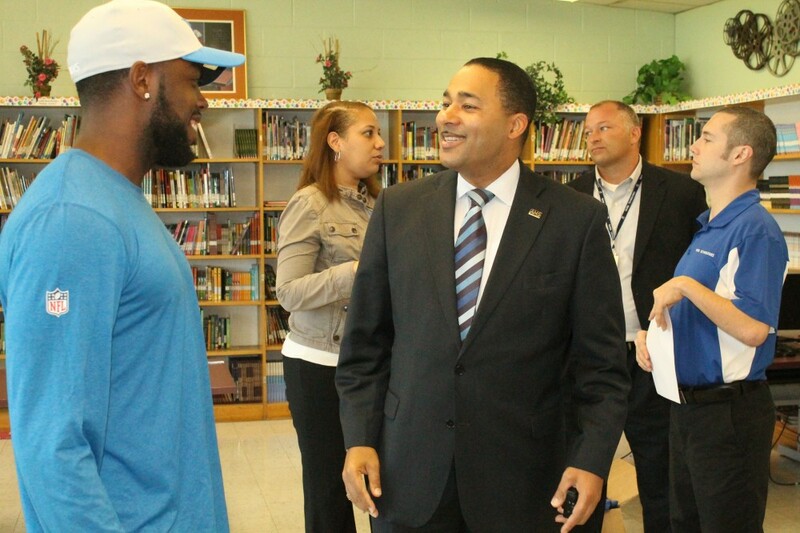 “Bowl with an Athlete,” “Back to School / Sports Day,” and “Principal for a Day” events. 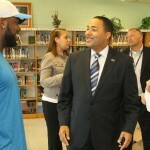 For more information about Athletes for Charity, visit www.athletesforcharity.com. 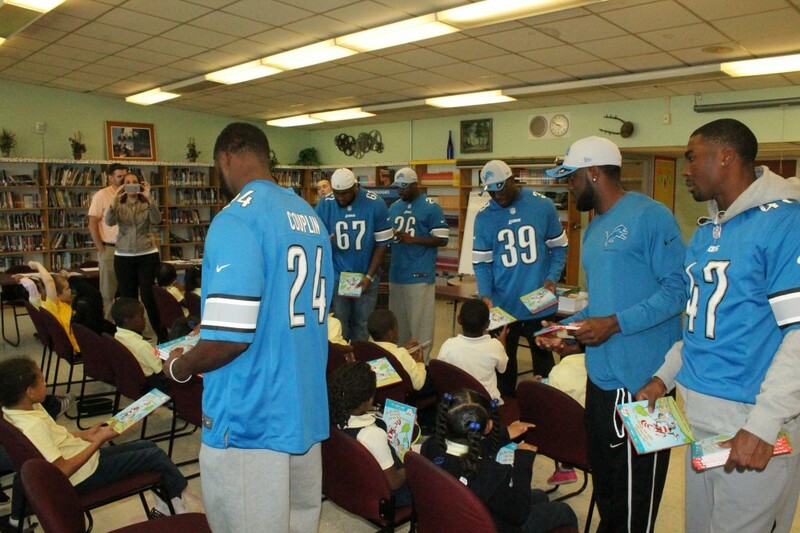 The Detroit Lions are a professional American football team based in Detroit, Michigan. They are members of the North Division of the National Football Conference (NFC) in the National Football League (NFL), and play their home games at Ford Field in Downtown Detroit. The team located to Detroit in 1934 and is the National Football League’s fifth oldest franchise. 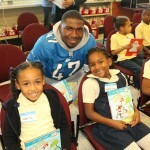 The Detroit Lions most recently made the NFL playoffs in 2011, when they finished with a 10-6 record. 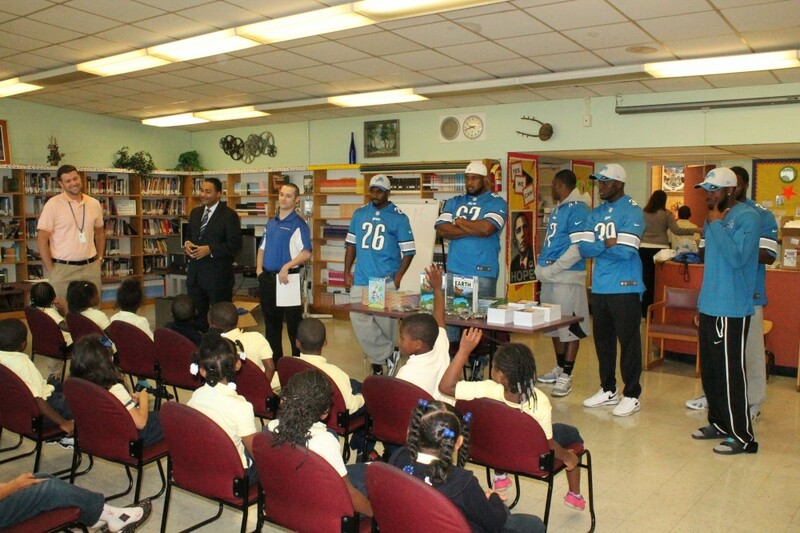 In addition to professional football, the Detroit Lions have a very visible and active community relations role in the Detroit area. 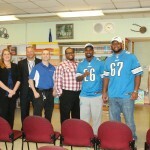 With a focus on health and wellness and community revitalization, the Lions have contributed $7.2 million through philanthropic efforts since 1991.For more information about the Detroit Lions, visit www.DetroitLions.com. Tata Technologies is a leading provider of engineering and product development IT services for the global manufacturing industry.The company applies cutting-edge technology and engineering know-how to provide a competitive advantage to customers in the manufacturing sector. Tata Technologies is a strategic partner for developing complete vehicles, engineering subsystems and components, managing the NPI process and collaborative engineering engagements, and tying together information created and used throughout the extended manufacturing enterprise. Corporate headquarters are in Singapore, with regional headquarters offices in the United States (Novi, Michigan), India (Pune) and the UK (Coventry). Founded in 1989, the company has a combined global work force of more than 7,200 employees serving clients worldwide from facilities in North America, Europe and the Asia-Pacific region. For more information about Tata Technologies visit www.tatatechnologies.com.